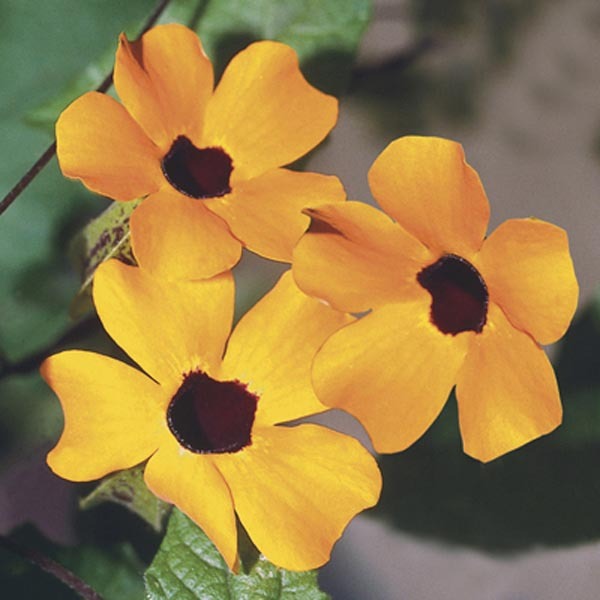 A fun, twining vine with dark-eyed blooms on most varieties. An evergreen perennial in its native habitat of tropical Africa, it makes a wonderfully heat tolerant annual elsewhere. Works well as a trailing or climbing selection. Beautiful trained to fences, posts, latticework and trellises. Makes a breathtaking potted specimen plant. Looks great spilling over container edges. Best in fertile, well-drained soil. Keep soil moist, watering freely in dry weather. Provide climbing support, tying shoots up until well established.